Hot pink just makes me happy. So you can just imagine how I feel about a hot pink martini. Beer is awesome, but sometimes I need a girly drink. My go to drink is always vodka soda, but it looks a tad boring...like water. 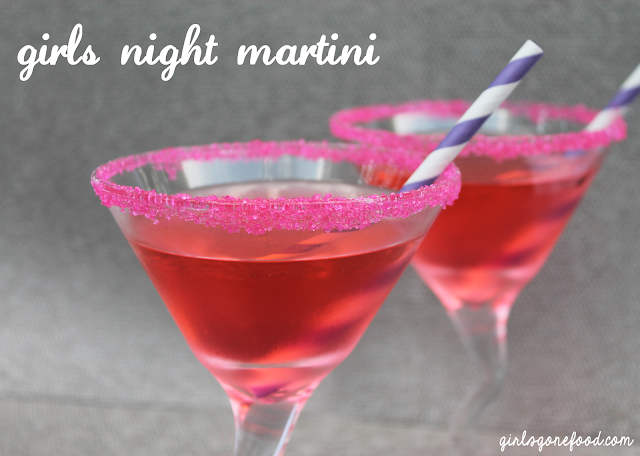 So I dressed it up a little bit to make this drink for girls night. 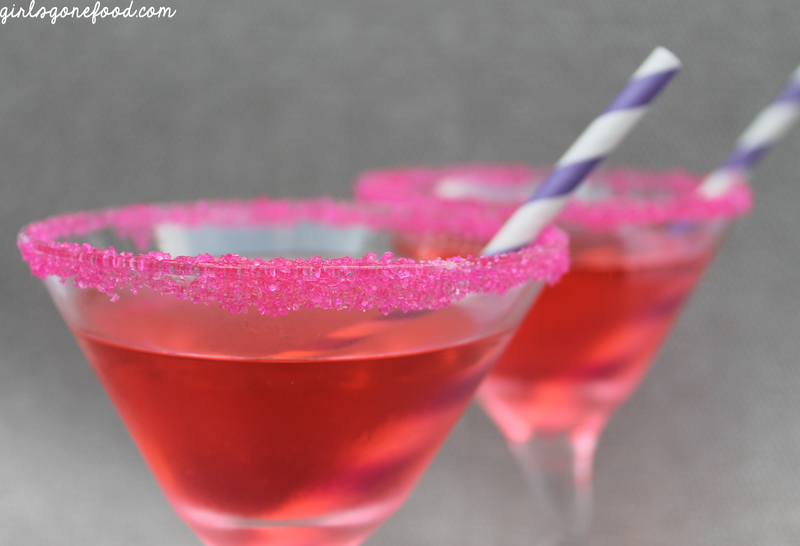 Dip the rim of a martini glass in lime juice, then dip the rim in pink sugar. Add ice to a shaker. 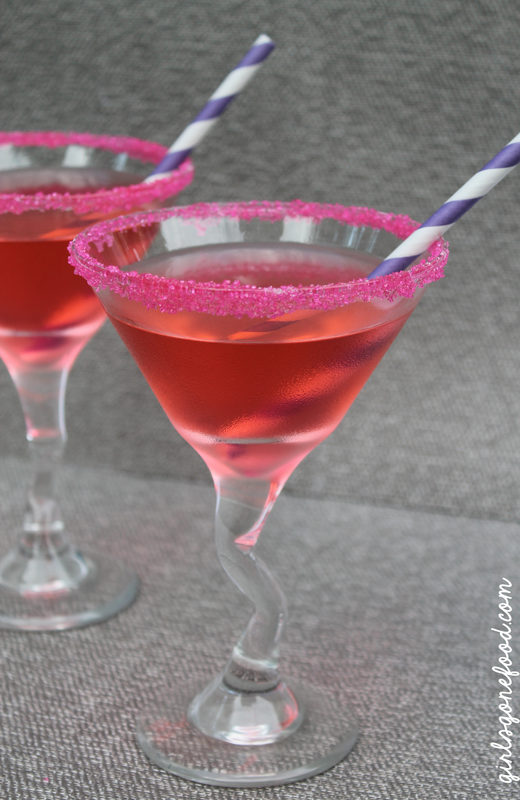 To make one martini, add 1 shot and a splash of vodka, add 3 to 4 ounces of seltzer, and a splash of grenadine. you're right.. who needs beer when you can have a pink martni?! These are stunning and look like they will taste delicious! Hi, I love the way this drink looks and I bet it tastes good too! I saw it on tasty tues.
it does taste delish! 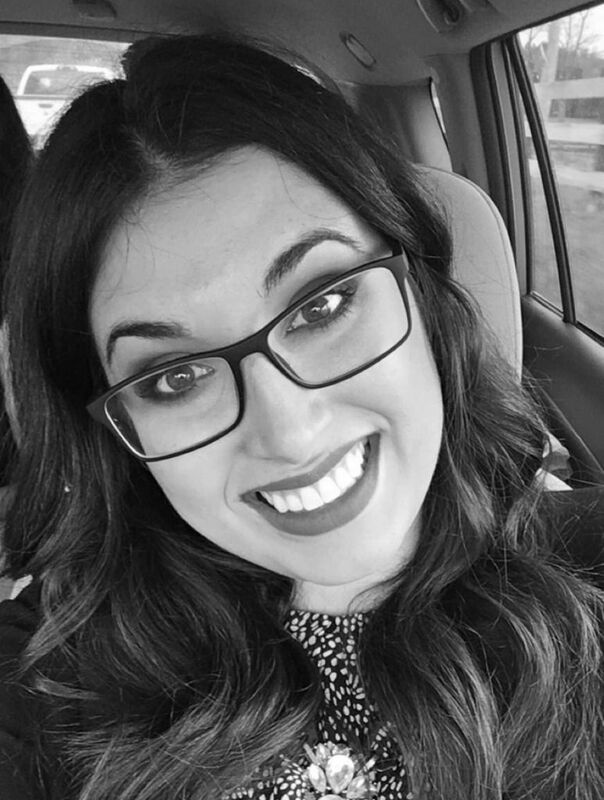 so glad you found me!